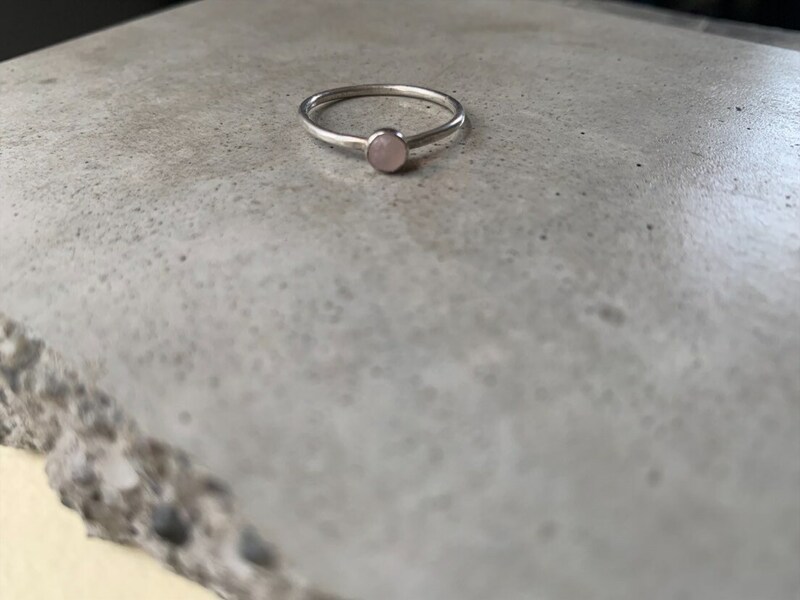 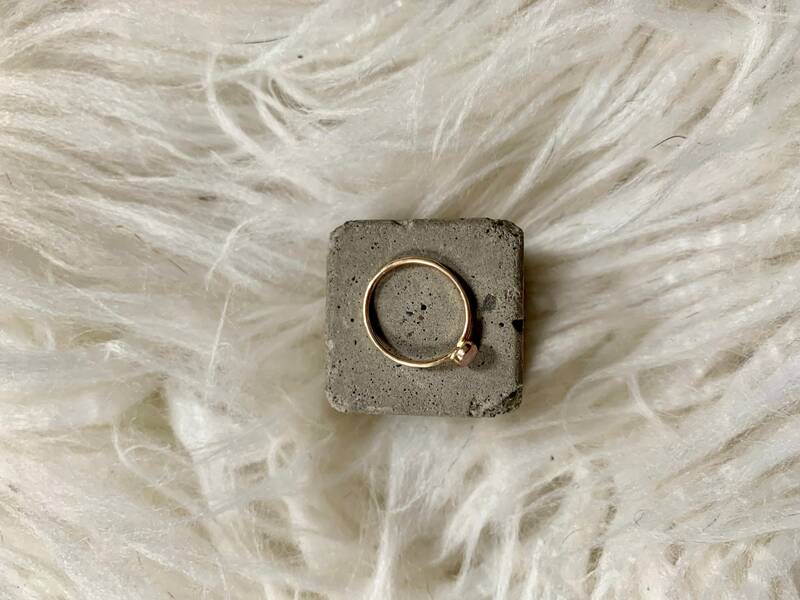 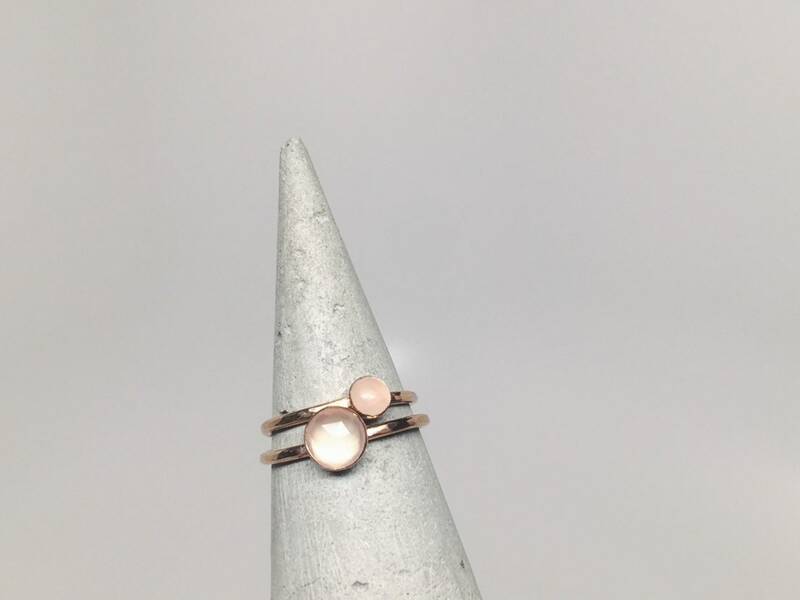 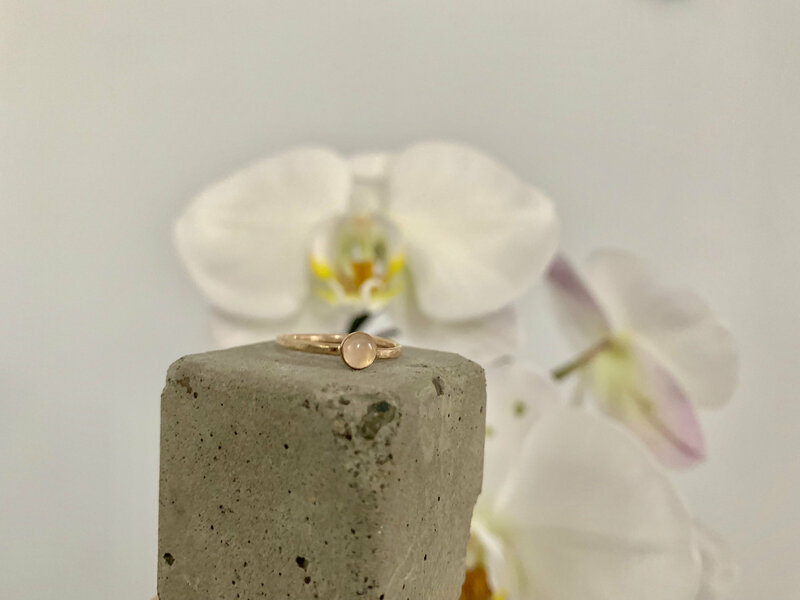 Dainty little stacker ring with a rose quartz cabochon (4mm). 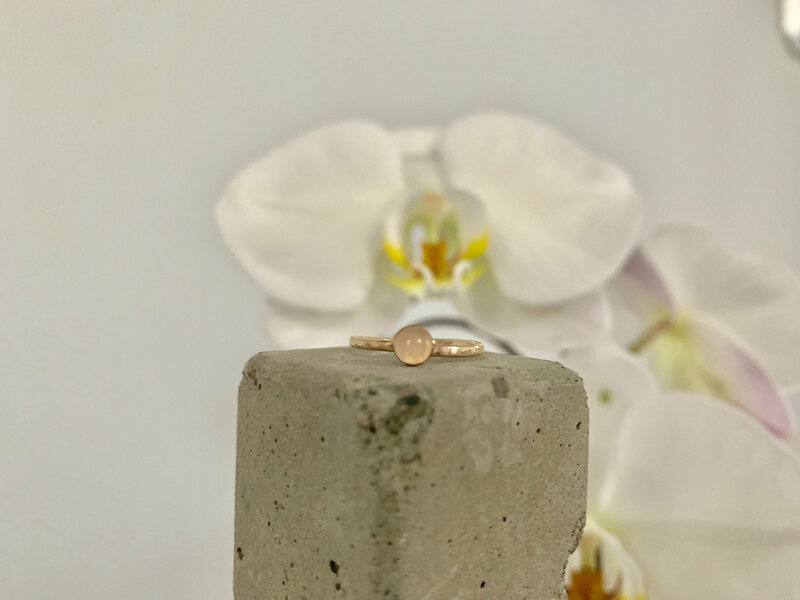 Choose between sterling silver or 14k yellow gold fill. 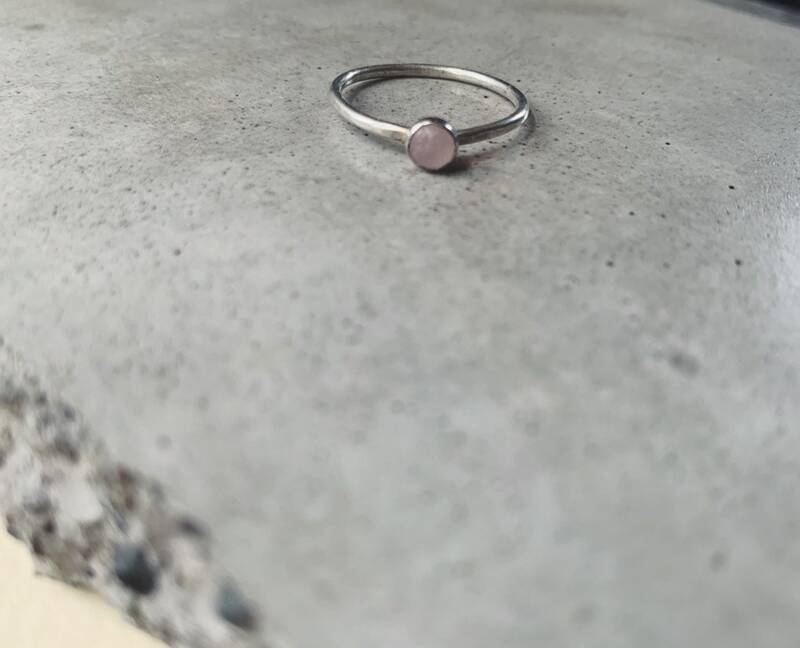 Wear alone for a simple and dainty look, or stack them up for some glam! 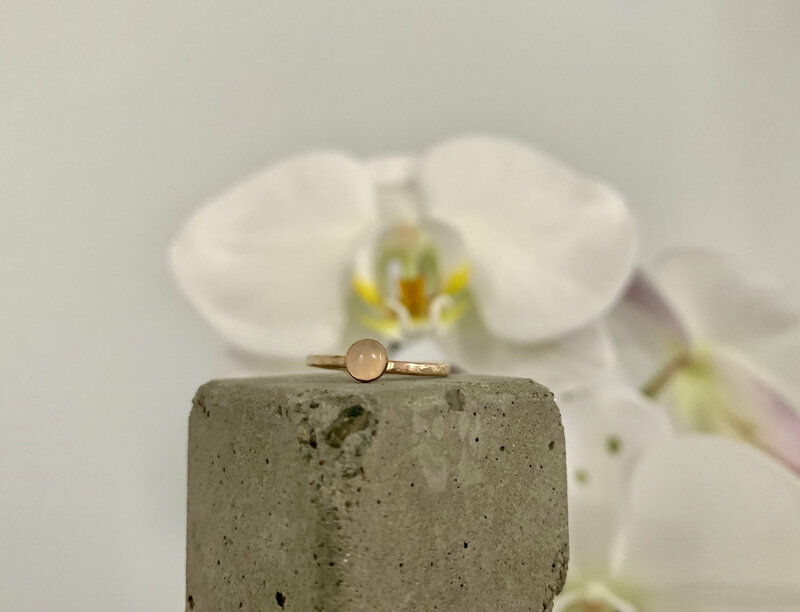 If you would like this or other jewelry for a bridal party, please convo me so I can work on a custom listing just for you!